Looking to operate your corporate structures, finance vehicles and investments on a multi-jurisdictional level ? We set up corporate entities and manage their ongoing affairs and compliance on behalf of clients and professional intermediaries in all major onshore and offshore jurisdictions. O.Shambartas specialized team, managed by lawyers, is readily equipped with an in-depth knowledge of the requirements necessary to establish and maintain fully-compliant operating, holding and finance entities in different parts of the world. At ongoing management level, we seek to thoroughly understand your operations, remain next to you and provide our best efforts to assist you in achieving your objectives. Our distinguishing factor, is that, in contrast with corporate service providers we are here to advice you on the appropriate entity or structure that would allow you to minimize taxes while meeting your business or private wealth objectives by combining the ideal jurisdiction(s) and structures. We seek to reduce both tax and legal risks, minimize costs and maximize efficiency. Therefore, with us, you get the luxury of a single point of contact with holistic advice on legal, tax and compliance matters relevant to your operating structures. We set up corporate entities on behalf of clients and professional intermediaries according to their needs and goals in all major onshore and offshore jurisdictions such as Cyprus, Malta, UK, Ireland, Mauritius, BVI, Seychelles, Nevis, Belize, Panama, Anguilla, Labuan, Hong Kong, Marshall Islands, and Brunei. O. Shambartas take care of all the legal procedures with the relevant authorities, and we provide you with the Memorandum & Articles of Association for your company, the Certificate of Shareholders, Certificate of Directors & Secretary, Certificate of Registered Address etc. According to Cyprus law, it is obligatory that every company must have a company secretary and a registered office address in Cyprus. Furthermore, from a tax point of view, it is important that the company is managed and controlled in Cyprus. 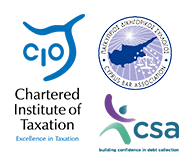 It is therefore recommended that the majority of the directors appointed are Cyprus residents so that the company will be a Tax resident in Cyprus and utilize the Cyprus Double tax treaty network and the Cyprus low tax rates. We provide all the relevant nominee and representation services such as the provision of Directors, Nominee Shareholders, Secretary, Registered Office, Proxy representations, and attend meetings on behalf of clients. We efficiently perform your company’s secretarial duties. These include maintaining statutory records and registers in due order, preparing minutes for Directors/Shareholders meetings, issuing and safekeeping Share Certificates, arranging for legalizations and certifications of documents, issuing Powers of Attorney, and complying with the Registrar’s necessary submissions. Some of the administration services we offer are: Review and Execution of Agreements, handling correspondence with third parties and the authorities, issuing sales invoices and collecting receivables, assistance in setting up offices in Cyprus, virtual office services, obtaining work permits for employees, registering Trademarks and Trade names. We also offer the following Banking Services: Opening, maintaining and managing bank accounts, arranging bank credit cards, arranging for bank financing..
Companies in all jurisdictions are required to comply with certain legal requirements, and we are here to take care of that for you:.